Posted on 11, January 2016 by EuropaWire PR Editors | This entry was posted in Business, Energy, Gas & Oil, Finland and tagged Arctic diesel, Neste Oil, Neste Oil stations in northern Finland. Bookmark the permalink. ESPOO, 11-1-2016 — /EuropaWire/ — Arctic diesel suitable for extremely cold temperatures is available from four Neste Oil stations as well as eight heavy traffic stations in northern Finland. Neste’s Arctic diesel has been developed and tested to handle even the most extreme of weather conditions. 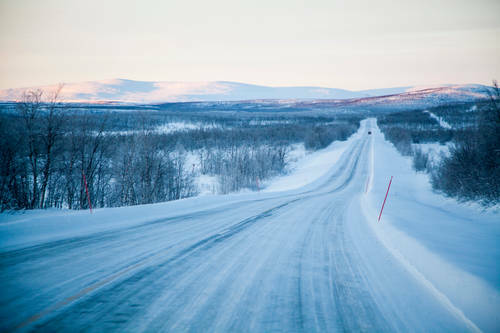 The lowest storage temperature of Arctic diesel (-40/-44) is -40 °C, and a well-maintained diesel car runs on it down to the temperature of -44 degrees. Neste’s Arctic diesel does not contain conventional FAME biodiesel, which is why it can also be stored over long periods with full performance available immediately when necessary. It is recommended in extremely cold temperatures that diesel vehicles are preheated or parked in a warm garage before starting the engine. If needed, Arctic diesel fuel can be added to any other diesel fuel types in any application rate. All Neste Oil’s stations granting K-Plussa bonus provide winter-quality Neste Pro Diesel, which also has excellent cold characteristics. It can be used down to -37 °C temperatures and stored at -32 °C whereas the corresponding temperatures for traditional diesel are -34 °C and -29 °C. Maantie Käsivarren Lapissa Enontekiöllä. ||| A country road in Western Lapland in Enontekiö.